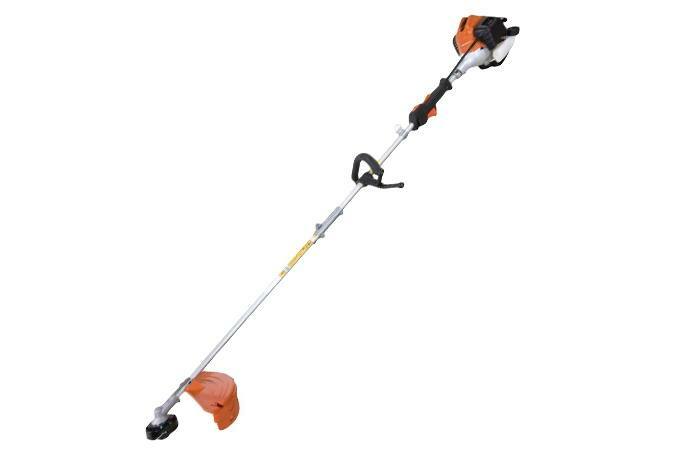 The Tanaka TCG24EBDP heavy-duty, split-boom grass trimmer features a powerful 23.9cc engine along with S-Start technology for easy start up. It is the ideal trimmer for a professional wants the ability to change between different attachments and demands fast throttle response, powerful performance and durability, all backed by Tanaka's industry leading 7-year consumer use, 2-year commercial use and 1-year rental use warranty. Fuel Tank Capacity: 17.6 fl. oz.